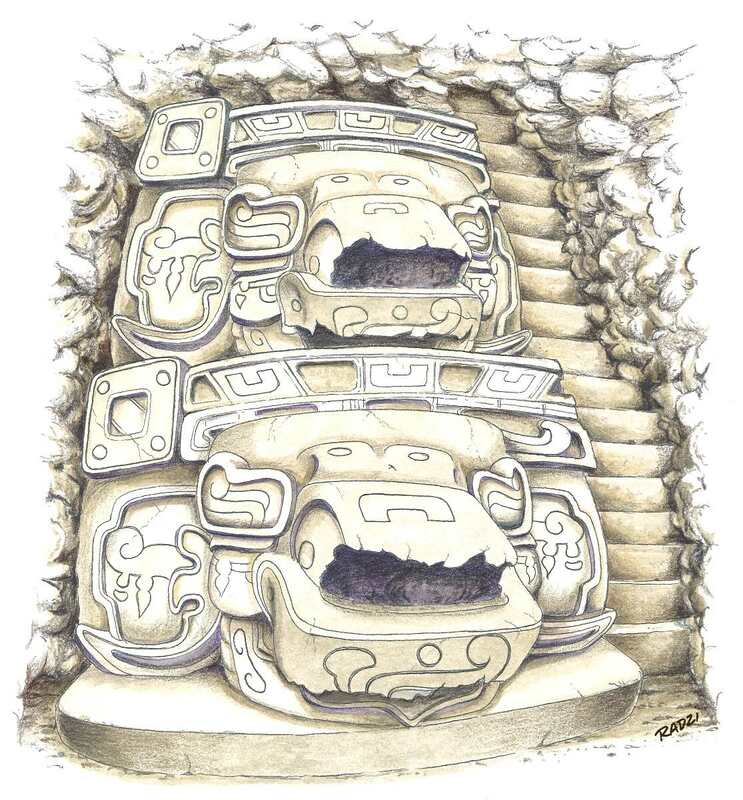 Rendering of the Dos Aguadas masks by artist Steve Radzi as they stood on the facade of a Preclassic pyramid deeply buried under later pyramids. Each carving measure aprox. 3 m in width and 2.5 in height.